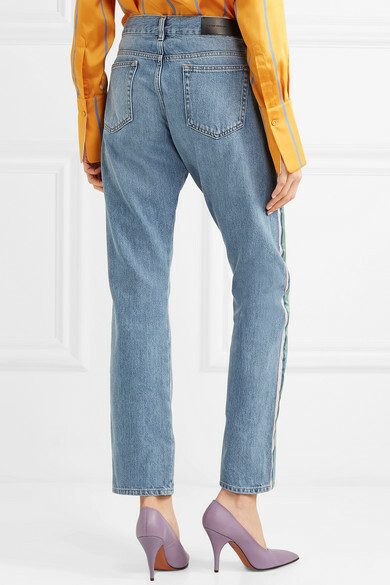 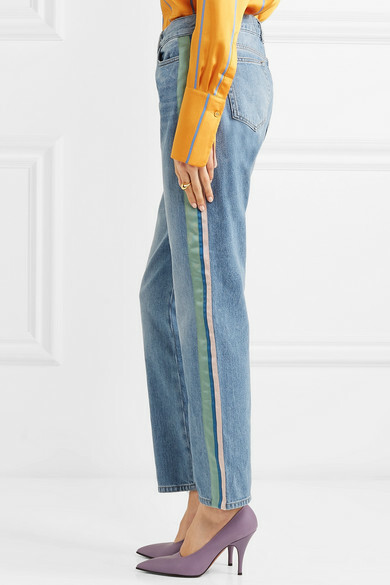 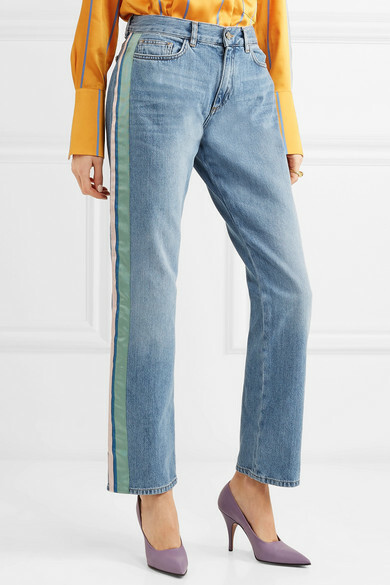 Victoria, Victoria Beckham's jeans are trimmed with a trio of grosgrain stripes along the side in shades of mint, blue and white. 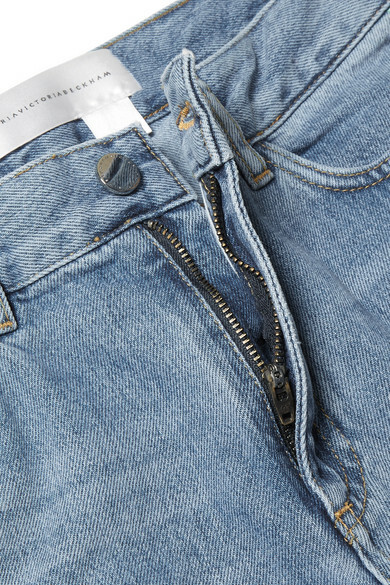 They're cut from rigid denim in a mid-rise straight-leg shape. 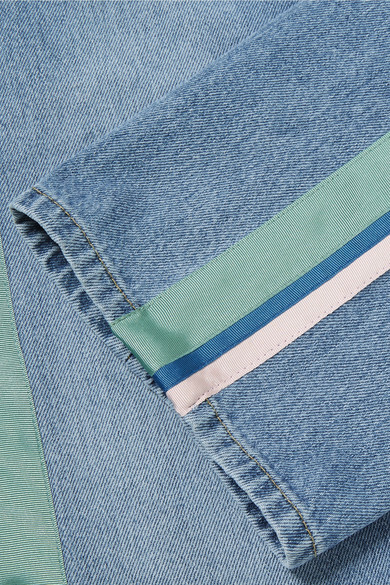 Complement the ice cream shades with a pastel-hued silk shirt. 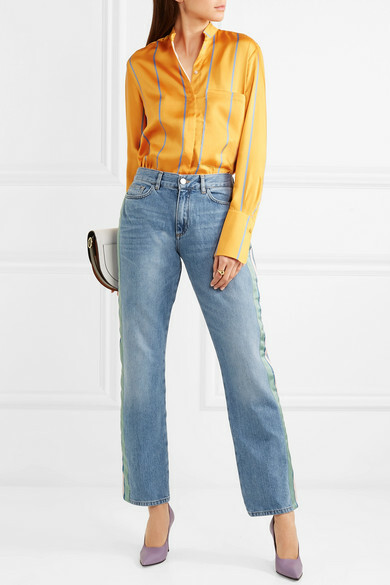 Shown here with: Victoria, Victoria Beckham Shirt, Victoria Beckham Shoulder bag, Victoria Beckham Pumps, Jennifer Fisher Ring.